We manufacture low voltage custom electrical cables / electronic cables for many applications, such as Industrial, Communications, Transportation, Audio/Video, etc. 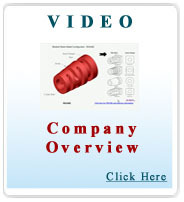 We also offer molding services, design, engineering, and manufacturing, including off -the-shelf or custom strain relief, flex relief, fittings and bushings. Custom MIL Spec Low Voltage Electrical Cables / Electronic Cables. Industrial grade cables. We provide a wide range of overmolding solutions from simple CPC style to industrial grade MIL-C-5015 type using the widest array of connector types and connector manufacturers. Our overmolding technology provides reliable strain relief and flex relief while, through a flexible modular approach, assures a low cost, high performance molding solution. Cables with circular and rectangular connectors used in industrial environments, such as robotics, metal and woodworking machinery, rail, road and marine transportation, refrigeration, and industrial controls. 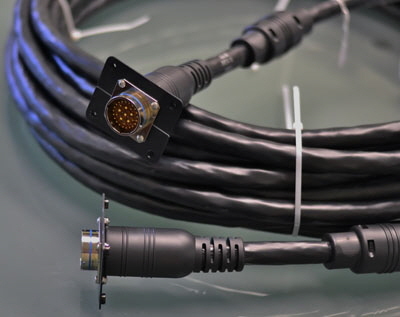 Cable assemblies with connector products for the professional audio/video, broadcasting and lighting markets. Coaxial interconnects, including all major product series. Types available are standard, miniature, subminiature and micro-miniature, between series adapters, precision APC connectors and special purpose connectors. E-mail or Call us Today for Your MIL Spec and Industrial Cable Solutions!